About us - Benvenuti su restaurantoceania-nl! Chinese Restaurant Oceania was founded in 1978 by Mr. and Mrs. Che Chan. 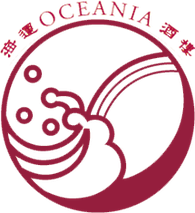 The name "Oceania", means "fortune of the sea" in Chinese. This name was selected because geographically, the Netherlands is surrounded by the sea. And to differentiate Oceania from other Chinese restaurants, it offers seafood as its specialty. Oceania has gained its popularity in Amsterdam for its authentic Chinese cooking and taste. It is now managed by Wai Kwok Chan and Geoffrey Chan.